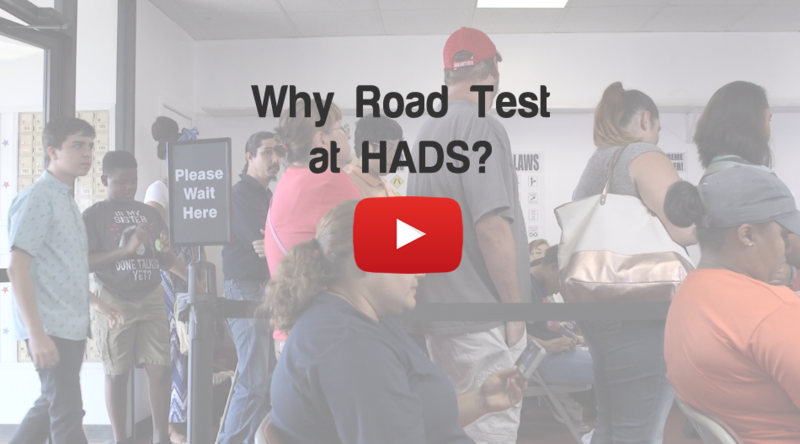 YES, you can take the Driving Test at Houston Area Driving Schools instead of testing at the Texas Department of Public Safety. This means that you can avoid the long wait for a driving test at the D.P.S..
You must complete 6 hours of Classroom Driver Education (A certificate of completion form ADE-1317 is required). We can administer the driving test no matter where you took your Adult Driver Education- Houston Area Driving Schools, on-line, another commercial driving school. You must watch a one (1) hour video, Impact Texas Young Drivers (ITYD). After watching the ITYD , you need to print a certificate of completion and bring the certificate to Houston Area Driving Schools. Test criteria provided to applicant prior to administration of the test. Upon completion of the driving test, the examiner will tell the applicant of any errors made during the driving test and advise the applicant how to correct those errors. If applicant disqualifies themselves (fails the exam), they are afforded one complimentary retest.